She is unique in comics…the daughter of a hero and a villain: The Earth-Two Batman and Catwoman. Helena Wayne was trained by her parents to become a superb athlete, and studied law with the hope of bringing criminals to justice. 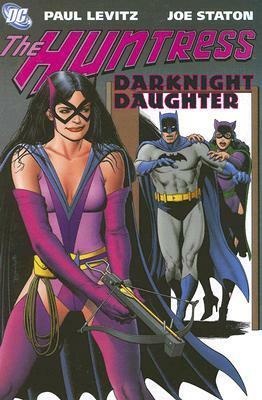 But after Catwoman is blackmailed to resume her life of crime, leading to her death, Helena dons a costume and crossbow to become the Huntress to avenge her mother! Originally published in DC Super Stars #17, Batman Family #18-20, Wonder Woman #271-287, Wonder Woman #289-290, and Wonder Woman #294-295, between 1977 and 1982.